I am so blessed that I get to work with amazing families like yours! It has been so much fun to see the farm from the very start change and grow into a wonderful location. All of the hard work has paid off! Thank you for trusting us with your celebration! The getting ready photos taken during a wedding day are always some of my favorites. From the rings to the dress and everything in between it really sets the tone for the start of the celebration. Details are a part of the story. What a great way to begin a love story! 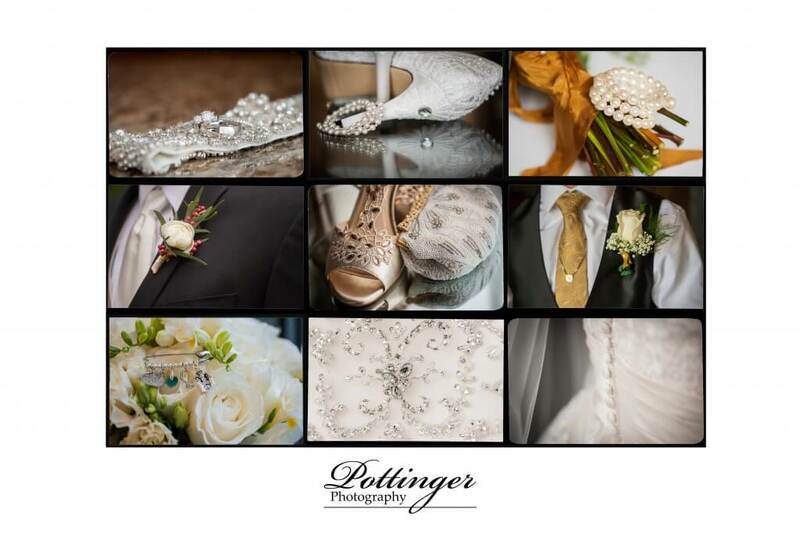 “Pottinger Photography is fantastic! We are so happy with our wedding photos! Our wedding day ended up being a rainy day and I was bummed because I envisioned a certain look for our photos. Brenda assured us that they would be fabulous regardless. She wasn’t kidding. The weather didn’t matter at all. The photos are AMAZING! In fact, she entered one of our wedding photos in a print photography competition and won first place! So, yes, I highly recommend Pottinger Photography. Thanks so much, Brenda!” Kim L.
Thank you Kim for your kind words! 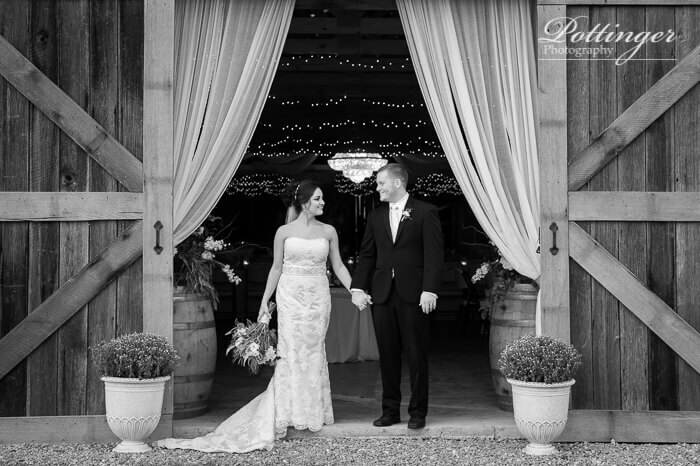 We loved being a part of your beautiful day in Louisville. Creating an incredible image that included the rain and your venue was a beautiful challenge.